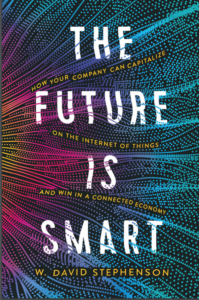 I’m confident that the IoT is going to bring about radical change throughout a wide range (if not all…) of vertical markets in the near future, through new realities such as giving everyone who needs it access to real-time information or by making preventive maintenance simple through real-time data from products such as jet turbines (General Electric is, again, a leader…). However, for concrete evidence of how the IoT will change things, perhaps the best industry to look at is auto insurance, where the IoT is facilitating a fundamental shift in marketing, from the prior practice of basing premiums on proxy indicators such as a student’s grades or a person’s credit rating (leading to the heinous — and expensive — crime of “driving while poor,” LOL). Instead, what is emerging worldwide (especially in Europe) is “usage-based insurance” (UBI), where the rates are based not on guestimates, but the driver’s actual behavior! Insurance & Technology reports that the transition will only accelerate in the future. Smart business leaders will start paying close attention to the features of the Internet of Things, and begin planning now on how to get ahead of the curve on making certain they are the beneficiaries of disruptive innovation — not the victims!